Kings Hill Community Tennis Club is the home of affordable tennis coaching for children and adults in Kings Hill, West Malling. Whether you are looking for social, fitness or competitive tennis, this is the tennis club for you. Group and individual coaching is available and there is an active timetable throughout the week. Tennis coaching at Kings Hill Community Tennis is headed up by Chloe Ayling, an LTA qualified tennis coach. 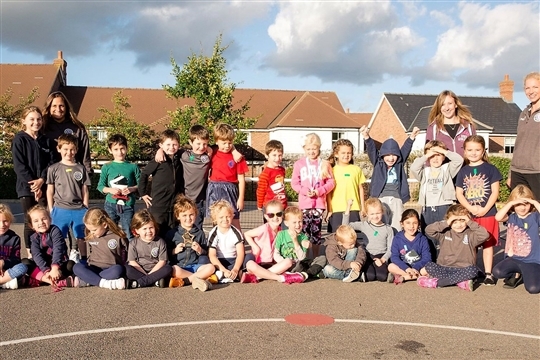 Chloe founded the Kings Hill Community Tennis Club in March 2016 and it has since gone from strength to strength with pre-school tennis coaching sessions; after-school tennis coaching sessions and 3 adults tennis coaching sessions every week during school term times. 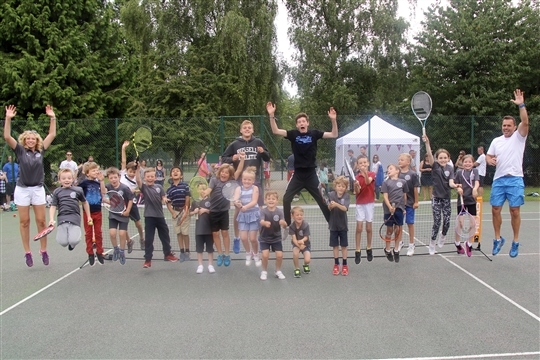 In the school holidays the popular tennis camps offer children of all ages a chance to learn and develop new tennis skills and the family tennis tournaments are becoming a talking point of the Kings Hill Community! Kings Hill Community Tennis Club offers tennis coaching for children from 2 years old to 18 years old. 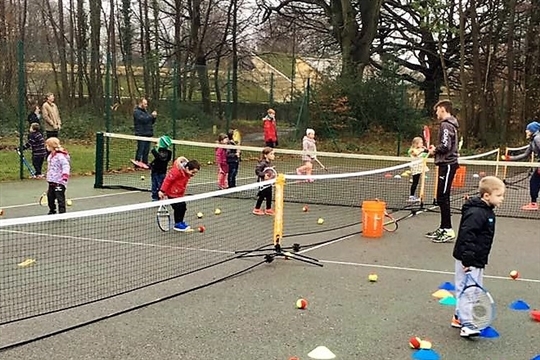 Pre-schoolers can join coach Sarah for fun tennis based games and begin to develop their skills in coordination, balance and agility. The 45 minute classes are for pre-schoolers with their parent and there are free taster sessions available to make sure your child likes the class. For school aged children there are various tennis coaching classes to suit all skill levels including Mini-Red Ball, Red Ball, Orange Ball, Green Ball and Yellow Ball classes on Saturdays. Please note class numbers are subject to maximum numbers, so if a class is fully booked, please ask to join the Waiting List and you will be contacted if a space becomes available or if there are additional classes added. Please email Chloe on kingshillcommunitytennis@hotmail.com for more information. There are various tennis coaching options for adults depending on your skills and experience. The popular Rusty Rackets class is perfect for those that haven't played tennis for a long time, but know the basics. This friendly class allows you to develop your tennis techniques at your own pace and allows you to remember the fun of play. Adult Drills & Matchplay is for those improver to intermediate tennis players that want to be put to the test. In each session we work on tennis tactics and put them into game situations. Wooden Rackets is a new tennis coaching class set up in September 2016 and aimed at those over 50 who would like to enjoy a game of tennis, but at a slower pace. You will still be taught new skills and develop your techniques, but a slightly lower intensity. For more information or to book your place on any of the tennis coaching classes please contact Chloe Ayling on kingshillcommunitytennis@hotmail.com or call 07595 479868.